"Accused of love that dare not speak its name." 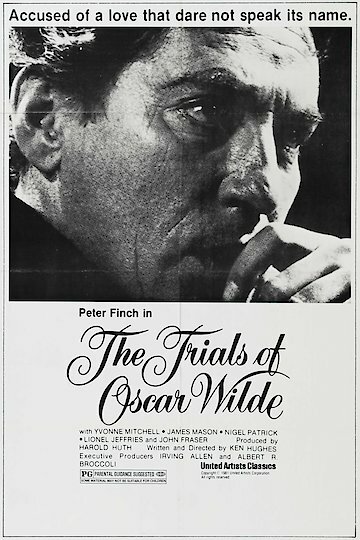 "The Trials of Oscar Wilde" (1960) is also known as "The Green Carnation" or "The Man With The Green Carnation." It is a British movie about Wilde's legal woes. Wilde gets on the wrong side of the Marquess of Queensbury when the latter hears gossip that Wilde is having an affair with his son, who is 20 years Wilde's junior. When Queensbury confronts Wilde, the latter sues him for slander, and this turns out to be a horrible mistake.